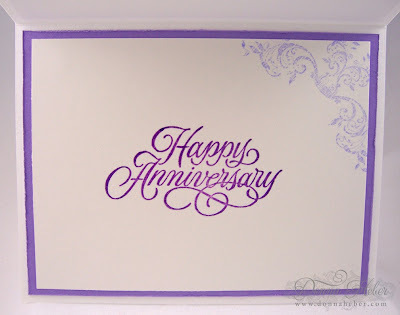 Your anniversary card is just beautiful! I also took some time and enjoyed your wonderful photography. You are amazing! Beautiful colors, Donna! I think I have this stamp set. I am going to get it out and give it a try! Thank you for the inspiration! You are so talented and creative. That is a lovey card and one no one else will have one like. Very special. What a beautiful card and I'm sure his wife loved it. Who wouldn't love recieving this card?! wow Donna, your Anniversary card is stunning. I just love this Just rite set, and gorgeous colors. this is very beautiful donna. Elegant card, and my favorite colors too! Saw this overact M.iM! Thanks for sharing! Beautiful card Donna I love the colors. 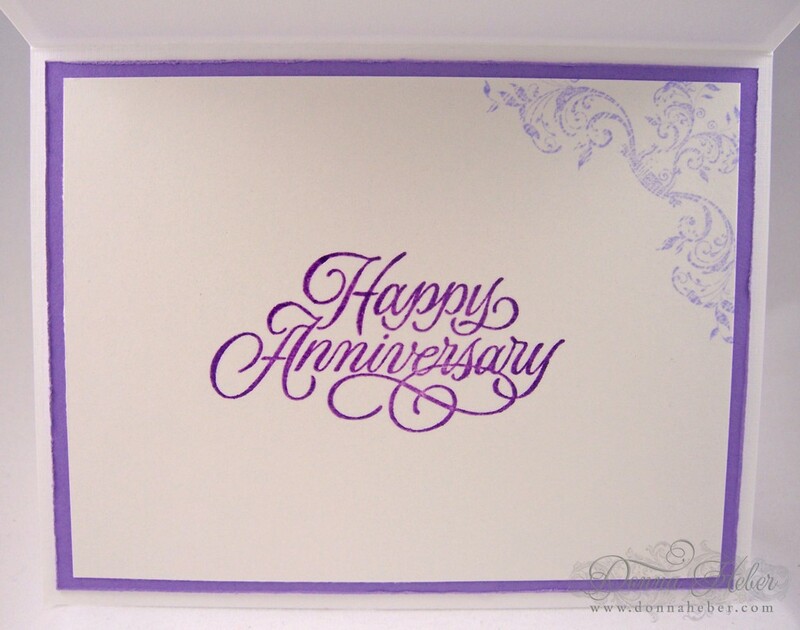 The anniversary card is gorgeous! I love the added bling. Its beautiful. I also just love the colours. You really do have a wonderful talent. 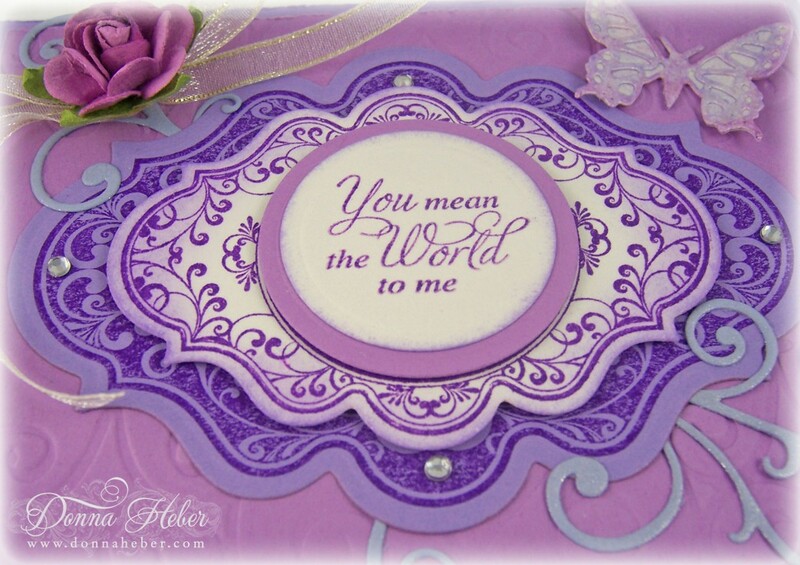 If my husband gave me a card like this I would be thrilled! 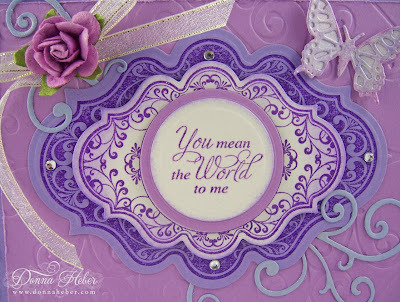 I really like all the shades of purple and lavender! I also like how you tucked those flourishes around the main image! 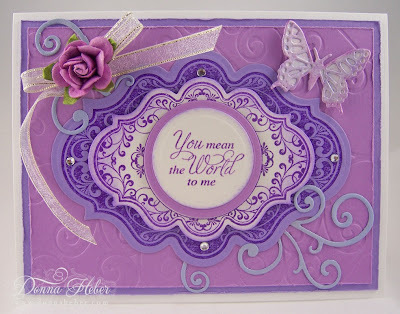 Really pretty card, love the colours together. Saw your link on MIM. I'm #76 and #215 this week. I'd love it if you stopped by. 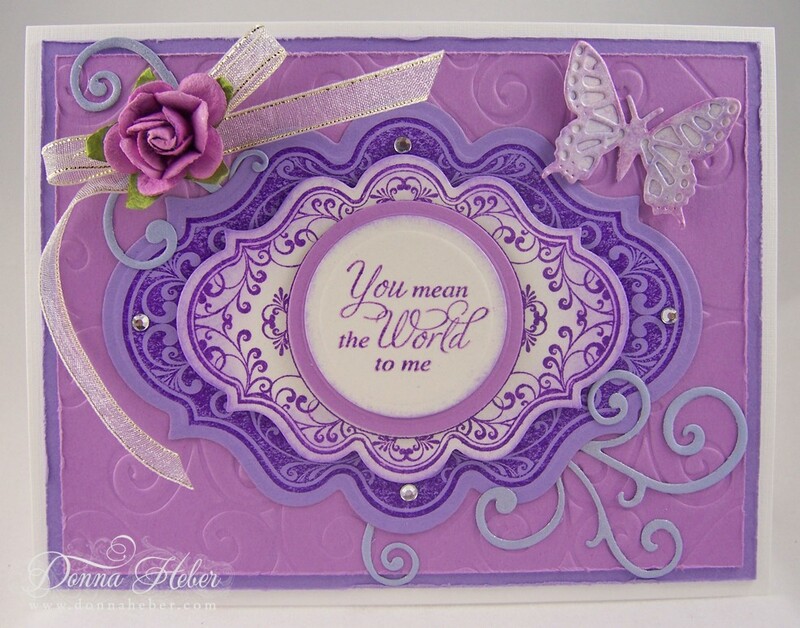 Donna beautiful card love the colours you used. This is such an elegant card. Love the embossed background and beautiful color scheme. Thank you for sharing with us at Make It Monday this week. This card is wonderful ! Beautiful work with lovely details.